Lower Ashley Road is a three-storey 78-unit development based just north-east of Bristol’s city centre. Its location means that it is convenient for students who attend either the University of Bristol, or the University of the West of England (UWE), both of which are reachable either on foot or via direct public transport links. Collectively, the universities have over 51,000 full time students enrolled in various degree programmes, yet can only provide accommodation for 7,000 of them. This means that there is a reliance on independent student developments, such as Lower Ashley Road, to accommodate the remaining students. The demand is so high, that the developer is assured the units will remain tenanted and is guaranteeing an 8% net return for three years. Lower Ashley Road is also within walking distance of Bristol’s city centre. Students will be able to easily enjoy the vibrant city; which boasts a rich maritime history, a new £500 million shopping centre, numerous restaurants and bars and a thriving arts scene which was the birthplace of world famous street artist Banksy. 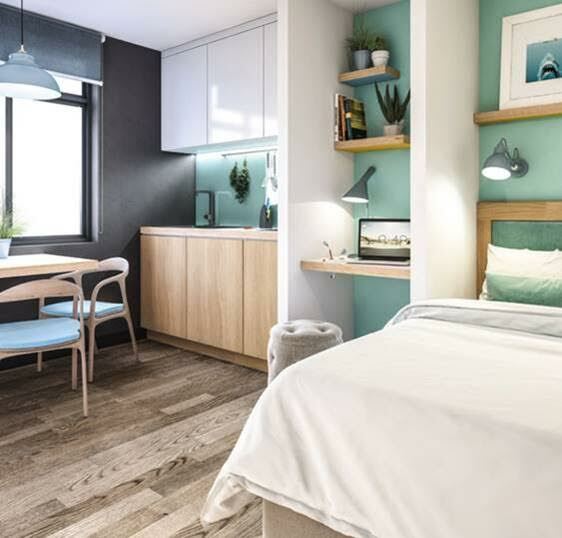 Lower Ashley Road will boast free wi-fi for students to study outside of university and communal facilities such as a games room, lounge areas, laundry facilities and gardens. The security of the students is also considered, and the development employs 24 CCTV and a fob-based access system. Each studio will come fully furnished and students will have access to their own en-suite and cooking facilities. Why Invest in Student Property in Bristol? Bristol entices young people due to its high ranking educational facilities (University of Bristol is ranked in the top ten in the UK), and trendy arts scene. It has also experienced significant investment over the years such as the Bristol Temple Quarter Enterprise Zone, and as a result has a lower rate of unemployment than any other UK city. These factors likely appeal to prospective students who wish to remain in the city after graduation. Even worldwide estate agent Savills has consistently rated Bristol as one of the best cities to invest in student housing developments. Cities are ranked on a combination of factors, including the current supply and demand, affordability and scope for rental growth. Cities placed in the first table are predicted to perform well in terms of occupancy rates and rental yields that can be achieved.